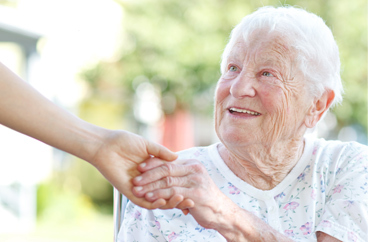 In-Home Personal Care Services for you and your loved ones in San Bernardino, California. Our office provides in-home personal care services in the following locations including San Bernardino, Redlands, Yucaipa, Loma Linda, and Riverside in California. Acti-Kare of San Bernardino, CA provides tier one in-home Personal care. Our trained, insured, and bonded caregivers will provide your loved one with in-home personal care services across a broad range of categories. As we age, mental and physical capabilities tend to decline, and with recent injuries and possible illness, these effects may become more apparent. This is why Acti-Kare focuses on promoting an active, and memory stimulated lifestyle. Our caregivers understand that everyday tasks may become increasingly more difficult for seniors, which is why our caregivers are trained in personal care to help your senior with everyday tasks such as bathing, grooming, and getting around the house! Through our proven in-home personal care programs, and expert caregivers we can help your loved one live a successful, and safe life in the comfort of their own home. From a family perspective, bathing a loved one can be difficult, and we understand. That’s why Acti-Kare has trained personal care caregivers to help your loved have great hygiene, and live comfortably. It is important for seniors to have grooming and dressing care, our Caregivers are trained to provide personal care assistance in hygiene, which helps build seniors morale. Toileting assistance is difficult for some family members, and that’s why there is Acti-kare. Our caregivers are trained in proper toileting assistance, and understand what it takes to provide seniors with superior personal care. Acti-Kare of San Bernardino, CA caregivers are trained and experienced in providing sensitivity, privacy and dignity while assisting with urinary and bowel care. Acti-Kare Responsive In-Home Care caregivers understand the role that toileting care can play in a client’s comfort, independence and self-esteem. Acti-Kare of San Bernardino, CA works with clients, families and nutrition professionals to plan and prepare meals according to the specific needs of our clients including shopping for special diets (diabetic, low sodium, low trans fat, etc.). The Acti-Kare Responsive In-Home Care caregiver will prepare meals that help each client maintain a healthy diet and that follow the client’s diet guidelines, as well as monitor their daily nutritional needs to insure sufficient nutrition. Acti-Kare Responsive In-Home Care caregivers are trained and experienced in providing assistance to our clients who may have physical and emotional challenges in the ability to perform basic functions. 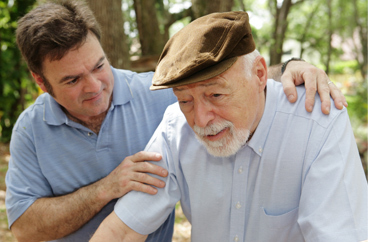 Our caregivers are trained to provide your loved one with proper eating assistance. 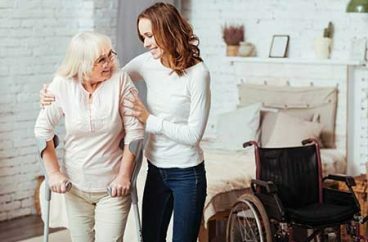 Acti-Kare Responsive In-Home Care realizes the importance of our client’s mental and physical needs and benefits from regular movement, and our caregivers take into consideration the physical limitations and comfort of each client’s ability. Acti-Kare Responsive In-Home Care caregivers are trained and experienced and can also assist our aging and disabled client’s with mouth, gum and denture care, leading to better overall oral hygiene. Please note that while all Acti-Kare locations provide Companionship and Home Services, not all locations are able to provide Personal Care services because of licensing requirements that vary by state. Please check with your local office when inquiring about Personal Care for your loved one. To request in-home personal care services fill out our request form above or call 909-829-5950. In addition to San Bernardino, our office offers in-home personal care services in the following locations: Redlands, Yucaipa, Loma Linda, and Riverside in California.